Good day dear juniors. First of all, we would like to congratulate and welcome you all to the School of Management, Universiti Sains Malaysia. Your many years of hard work had finally paid off. Right now, you are about to embark on a brand new chapter of your life. If you are having any doubts or confusions, here’s the FAQs that hopefully will be of help to all of you. 1. What will students study in a Management degree? Management is a 4-year degree course and in order to graduate successfully, students will have to accumulate 136 units (credit hours) including 21 units of several papers required by the university (English, Bahasa Malaysia, TITAS, Ethnic Relation etc). Management students are required to choose a major and minor from the lists below. SOM do not offer double major programme currently. And programmes offered for major cannot be chosen as a minor. Eg. Students CANNOT major in Finance and MINOR in Marketing. Students must choose ONE from the major list as major and ONE from minor list as your minor. Students will only be asked to choose minor during 3rd semester and major during your 4th semester. So, for first year, students will normally take subjects about the basics or some fundamental of those major courses. Students will take papers such as Principle of Marketing, Finance, Organizational Behaviour, Operational Management and International Business. All the papers mentioned above will unveil what can expect from those majors. 2. What is the best major or minor? There is no such thing as the best major or minor. It all depends on what students like and enjoy the most. So, when the time comes, choose something that you are interested in. 3. What will students study in an Accounting degree? Similar to the Management program, Accounting is a 4-year degree course and in order to graduate, you will have to accumulate 137 units (credit hours) including 15 units of several papers required by the university (English, Bahasa Malaysia, TITAS, Ethnic Relation, Core Entrepreneurship etc). Students will get more details about this inside a guide book that will distribute during orientation. Accounting program is a professional course so students are not required to have no minor subjects. 4. For accounting students, what qualification we may get after graduate? The Bachelor of Accounting degree graduates are recognized by the Malaysian Institute of Accountants (MIA). Graduates will be obtained a certificate in Bachelor of Accounting (Hons.) and accepted as Certified Accountants after gaining 3 years of working experiences at an accounting firm or an industry. 6. What is the medium of teaching in management and accounting program? English. Lectures, tutorials and examinations are all conducted in English. However, for Minor courses, it may be in English, BM or other languages. 7. How to register the courses for the first semester? For the first semester, School of Management provided automatic courses registration. Students are only required to check the courses that auto-registered. 8. Do students have to do internship? For management program, the students will do their internship during the 8th semester which is the last semester. For accounting program, the students will do their internship during the 6th semester. 9. Do students need to buy textbooks? Textbooks will be recommended by lecturers. We do not encourage photocopying of textbooks but students may make their own decision. For some papers, lecturers will require students to take online quizzes which carry weight into coursework grades (eg. 5% or 10% of coursework grades). In order to take those online quizzes, students will need to have an activation code that comes along with the purchase of textbooks. So in this case, students will have no choice but to buy the textbooks. Lecturers will be using slides to teach most of the time, and USUALLY, students will be given the lecture notes (PPT slides or PDF). Anyway, for those courses don’t have the online quizzes, juniors can try to get the textbooks from seniors for free or buy the textbooks from seniors. 10. What is the proper attire for attending lectures and tutorial classes? In discussing this issue, USM is comparatively liberal among public universities. Students do not have to wear formal to attend classes every day. As long as they wear long pants and covered shoes. Round neck t-shirts are also acceptable in USM. 11. 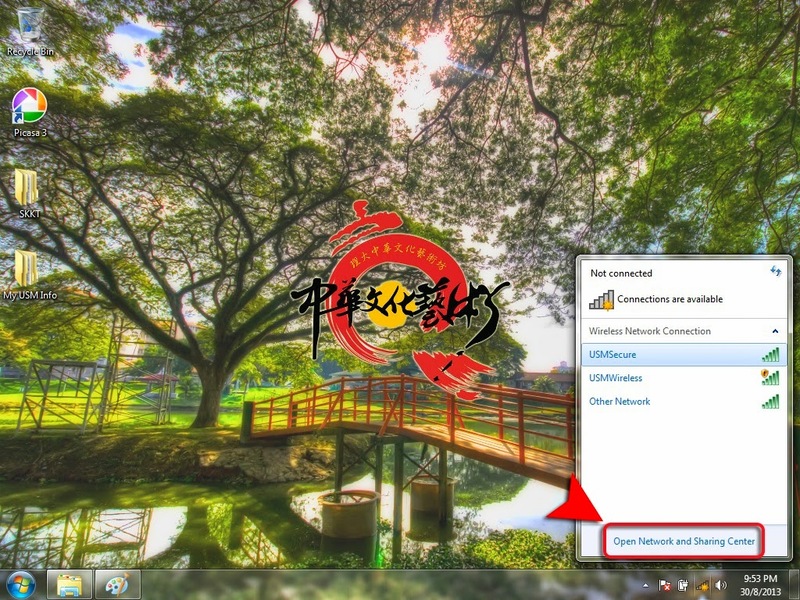 How do students get access to Internet? 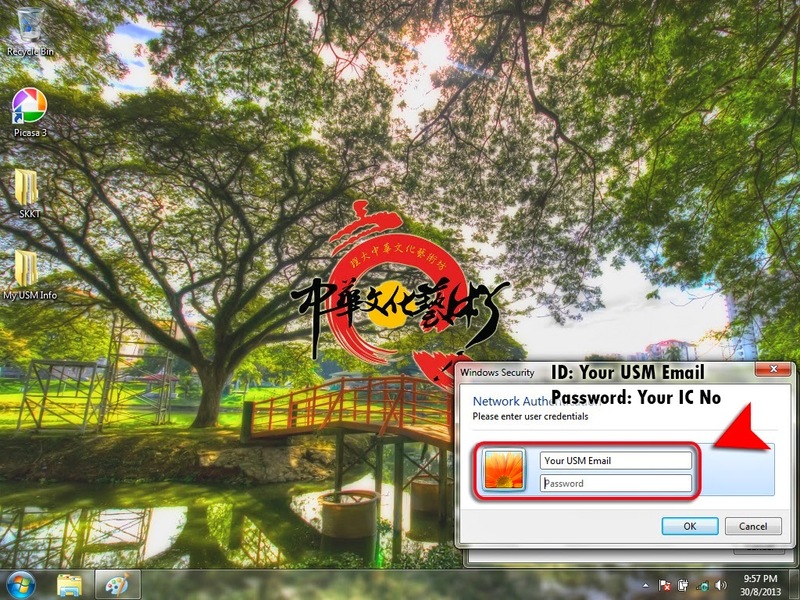 Within USM compound, students can connect to USM network using their own IDs which will be given upon entering USM. However, being able to connect does not guarantee the speed of the connection. 12. Can students choose not to attend lectures or tutorials? Students are required to have at least 70% and above attendance or else they may be barred from final examinations. So, students are not endorsed to skip lectures and tutorials. Moreover, lecturers might give tips for examinations during certain lectures or tutorials. Some lecturers may choose to give pop quizzes to ensure students attend their classes. 13. Must all students join any co-curricular activities? USM does not force students to join co-curricular activities. However, students might need the units (credit hours) from co-curricular activities to graduate successfully. So, to join or not is up to students own preferences. 1st year students will be given more information during orientation week. USM also have a lot of societies or clubs which they can choose to join. These societies or clubs offer NO units. However, by joining those societies or clubs, students will be able to gain MyCSD points (important to secure a hostel room in second year). MyCSD is My Continuous Student Development in full. It is a program that intends to build a holistic student personality under the APEX program. Having a low MyCSD points will lessen the chance of getting a room in subsequent year in USM. Again, joining these societies or clubs is based on students own preference. 14. Can students drive in USM? How to get the sticker? First year students are NOT allowed to bring in any vehicles into USM. If students get caught driving any unregistered vehicle in USM, they will receive a summon. Students can only bring their own vehicle to USM start from second year. Still, students have to get a sticker and register their own vehicle with Jabatan Keselamatan in USM. In order to entitle a sticker, students have to be active in societies and clubs. Stickers are limited and they are only given to students who are actively participating in the clubs. Anyway, vehicles without stickers can be parked at Padang Kawad ONLY. 15. Can students take foreign language? Is it compulsory to take it? Yes, management and accounting students are allowed take foreign language. It is not compulsory but you can take foreign language to fulfill the units (credit hours) in order to graduate successfully. 15.Where is School of Management located? School of Management is in building E45. It is located opposite the Hamzah Sendut Library 2 (E41) and School of Educational Studies (E43). 16.Does School of Management have any societies or clubs? Yes, there are two societies which are Management Society (for management students) and Accounting Society (for accounting students). Students are not advised to carry large amount of CASH to university during Orientation Week. Fan, rubbish bin and a broom. Pillows, linen and additional cleaning equipment are not provided. The hostels have no kitchen, although facilities to boil water are made available. Coin self operated laundry machines are also available. Each hostel will have different design and layout, therefore the amount of toilet and bathroom are not same. There are different hostels for men and women. Men are STRICTLY NOT ALLOWED to visit the hostels for women, and vice-versa. Overnight visitors are not allowed but your friends are welcome to visit you during the day. Quiet hours should be observed after 12:00am. 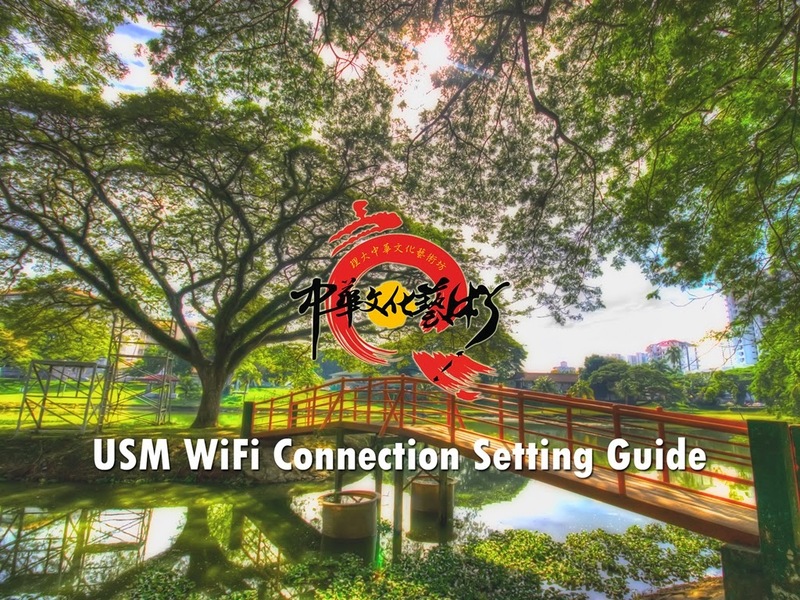 When you live in the hostels, USM has free WiFi provided. There is a chance that you may not be able to get access to the Internet. 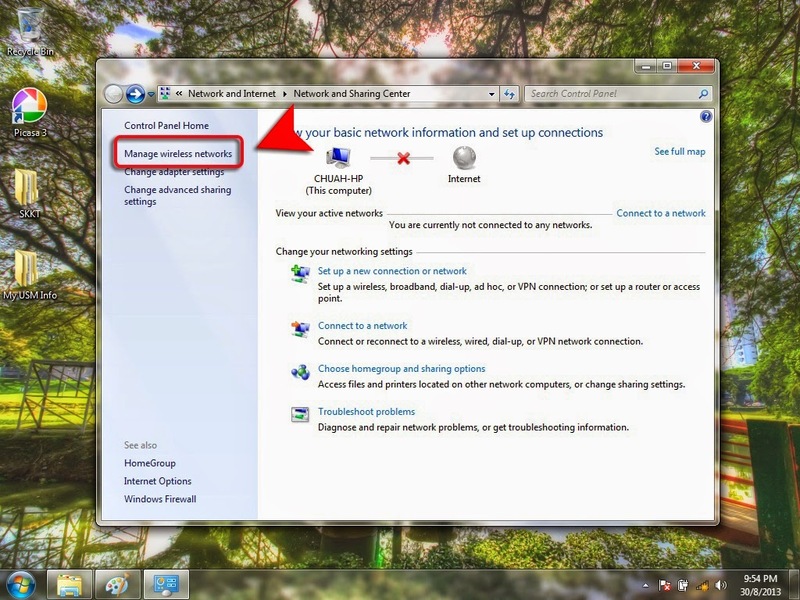 This is due some of the blind spots of the Wifi Zone. In case you wish to continue living in the hostel after the exams, you can apply for an extension to do so. Eateries are available outside campus during the semester break. The hostel officers will inform you about the application procedure, as well as handling over the keys. No application is needed for staying in the hostel during shorter school breaks. All Freshie are COMPULSORY to stay in the campus during Orientation Week (Program Siswa Lestari). However, if you prefer staying outside the campus, please make sure you are clear about all the costs that you might incur in your housing arrangements, and that USM will not be held responsible. Usually water and electric bills are not included in the rent. Also, be prepared to pay a deposit, usually one month’s rent in advance. Kompleks Cahaya Siswa, 11800 USM. Apa itu Majlis Sambutan Siswa (MSS)? Majlis rasmi penuh protokol menyambut kedatangan pelajar-pelajar baru. Majlis memperkenalkan Pengurusan Tertinggi Universiti, Ahli Senat yang terdiri dari dekan, pengarah PTJ dan professor yang berkaitan. Majlis lafaz ikrar oleh pelajar baru. Majlis menandatangani surat ikrar oleh pelajar baru. If you are visiting or studying in Universiti Sains Malaysia, you are not required to bring too much of cash with you. There are plenty of Automated Teller Machine (ATM) and Cash Deposited Machine (CDM) around the campus. Withdrawing money from different bank’s ATM usually will charge RM 1.00. Below are the comprehensive list of ATM & CDM around campuses. Set a password for the credential storage (at least 8 characters). 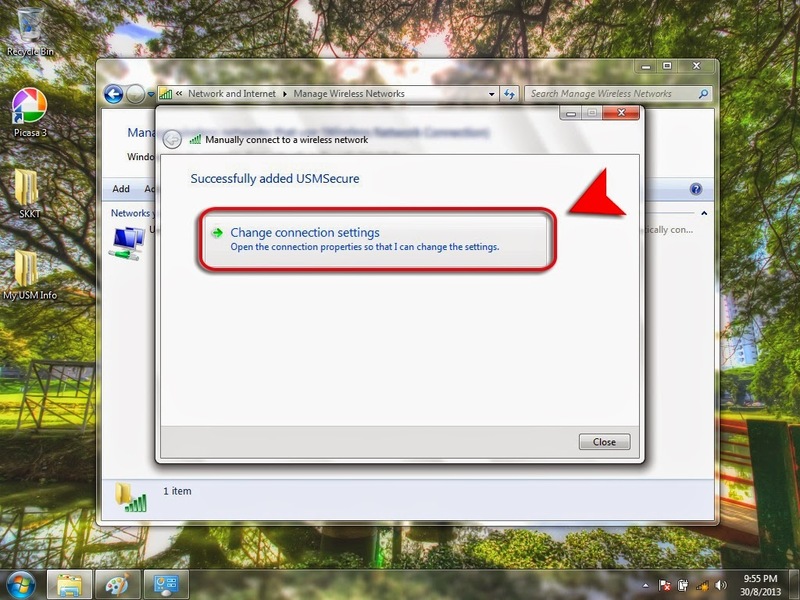 If it require to ‘Enter the credential storage password’, please try for 5 times, then will auto delete your default settings. Reset by repeat step 7. Commuter bus service is prepared to ease the travel of students, especially from hostel to lecture hall and vice versa. All buses will be operating from Monday to Saturday, except for public holiday. Every buses in USM will be labelled with different alphabets, each with different routes. Students are advised to look at the alphabets clearly before boarding the bus. 1. Jumlah bilangan bas komuter di dalam kampus USM ialah 10 unit. (2 unit Bas A; 1 unit Bas B; 1 unit Bas C; 2 unit Bas AC; 2 unit Bas D; 2 unit Bas E). 2. [RST] Bas E akan beroperasi mulai pukul 7.30 pagi. Waktu Puncak (7.30 pagi hingga 11.00 pagi) : Kedua-dua unit Bas E akan berada di stesen perhentian bas M07 dan bergerak menuju ke Jejantas RST setiap 15 minit. Waktu Puncak (5.00 petang hingga 7.00 petang) : Kedua-dua unit Bas E akan berada di Jejantas RST dan bergerak menuju ke stesen perhentian bas M07 setiap 10 minit atau bergerak terus apabila Bas E penuh. Waktu biasa (11.00 pagi hingga 5.00 petang) : Satu unit Bas E akan berada di stesen M07 dan satu unit Bas E akan berada di stesen Jejantas RST. Bas akan bergerak setiap 15 minit. 3. [Kampus Induk] Bas akan beroperasi mulai pukul 7.30 pagi. Waktu Puncak (7.30 pagi hingga 10.00 pagi) : Bas A, AC dan D yang mula bergerak dari stesen perhentian bas Padang Kawad USM tidak akan berhenti di stesen perhentian bas Desasiswa Indah Kembara. Oleh itu, pelajar dari Desasiswa Indah Kembara diminta untuk mengambil bas komuter di stesen Padang Kawad USM. W/bagaimanapun, 4 unit EcoVan telah disediakan untuk mengambil pelajar dari Desasiswa Indah Kembara supaya lebih memudahkan pelajar. Pada waktu puncak, bas akan bergerak setiap 10 minit atau bergerak terus apabila bas penuh. Waktu Rehat Pemandu Bas : Pihak MPP difahamkan oleh Pihak Unic Leisure bahawa waktu rehat bagi Pemandu Bas terbahagi kepada 2 slot, iaitu Slot Pertama (1.00 tgh hingga 2.00 petang) dan Slot Kedua (2.00 petang hingga 3.00 petang). Pemandu Bas berehat secara bergilir-gilir. (CONTOH) Pemandu Bas AC pertama akan berehat pada pukul 1.00 tgh hingga 2.00 petang, manakala Pemandu Bas AC kedua akan bertugas. Pada pukul 2.00 petang, Pemandu Bas AC pertama akan sambung bertugas. Waktu Rehat Bas B (Aman Damai) : Untuk pengetahuan Pelajar dari Desasiswa Aman Damai, waktu rehat Bas B adalah mulai pukul 2.15 petang hingga 3.15 petang. Bas A akan bergerak mengikut laluan Bas A mulai pukul 1.00 tengah hari. Selain itu, satu unit Bas dengan label “KE MASJID” pada papan tanda elektronik bas juga akan bergerak pada pukul 1.00 tengah hari menuju ke Masjid USM. Bas tersebut akan bertolak pulang ke Padang Kawad USM mulai pukul 2.30 petang. Semua yang dinyatakan di atas merupakan hasil perbincangan antara MPPUSM bersama dengan pihak Unic Leisure mengenai sistem pengoperasian bas komuter di kampus induk USM. Pelajar USM juga boleh merujuk kepada jadual bas yang dilampirkan supaya dapat merancang pergerakan ke kuliah dan sebagainya dengan lebih efisien. Pihak MPPUSM akan sentiasa memantau perkhidmatan bas komuter dalam kampus USM dan sebarang aduan atau masalah boleh dikemukakan kepada pihak Unic Lesisure dengan merujuk poster yang dilampirkan. Start from July 2018, Penang CAT is available inside USM. 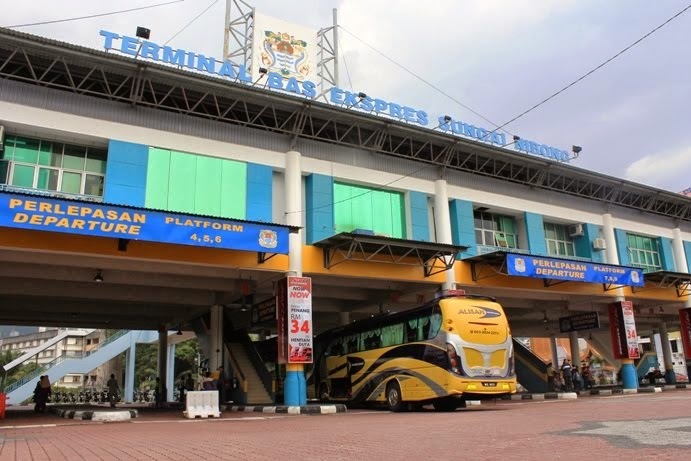 There are few stations inside USM where will stopped by Penang CAT Bus. USM Students can take the bus for FREE!